A couple of weeks ago, I walked into a craft store. I walked out with a couple of different sizes of heart doilies (and – ahem- several other things). I had an idea for a Valentine’s reading game, but that was it. What else could I use them for? 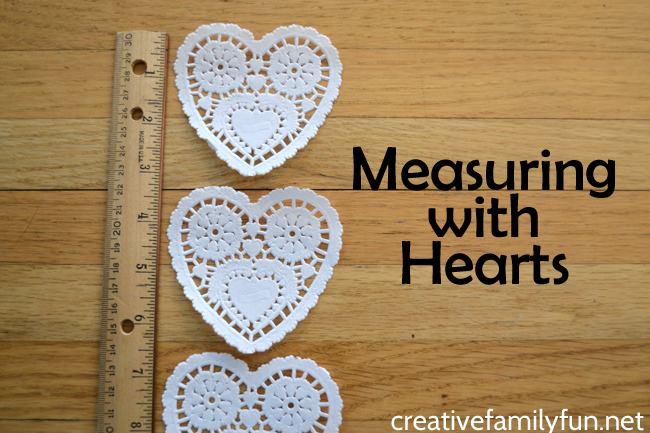 Grab those heart doilies and find a few things to measure. 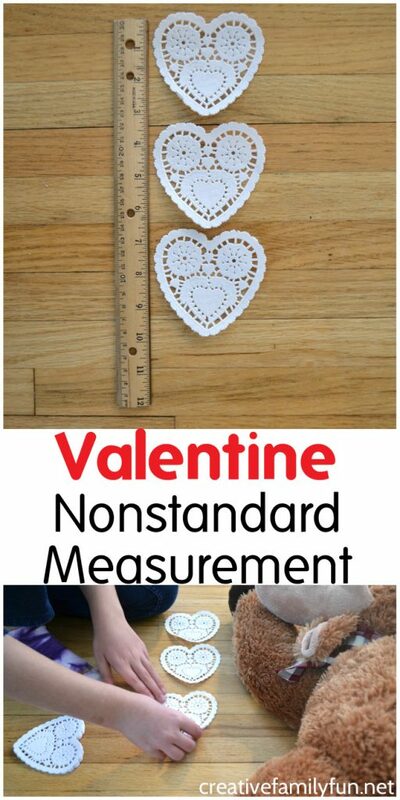 We’re going to have fun with a Valentine Nonstandard Measurement activity. What is measuring with nonstandard units? Most of the measuring we do is with standard units, such as inches, feet, and centimeters. But, before we start using these standard units, the concept of measurement is introduced with nonstandard units. This is anything that is used to show a comparison in size. 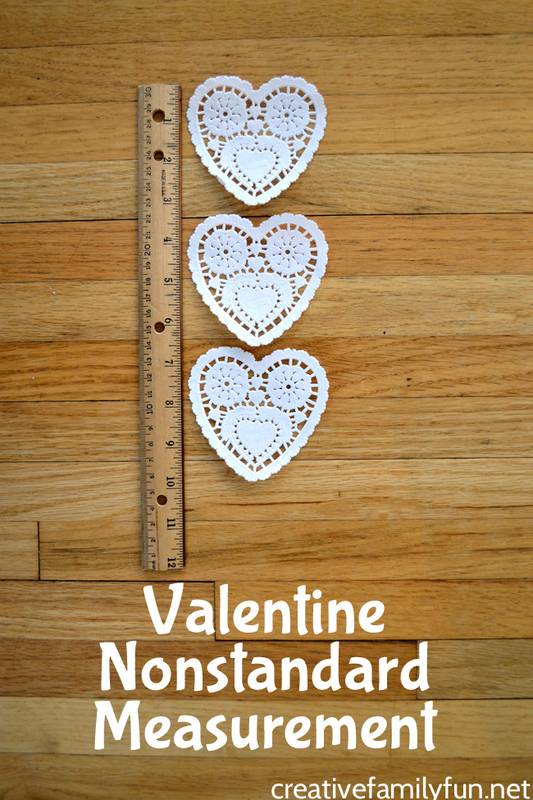 In this Valentine nonstandard measurement activity, we’re going to use small heart doilies. This activity is so simple and requires no set-up. 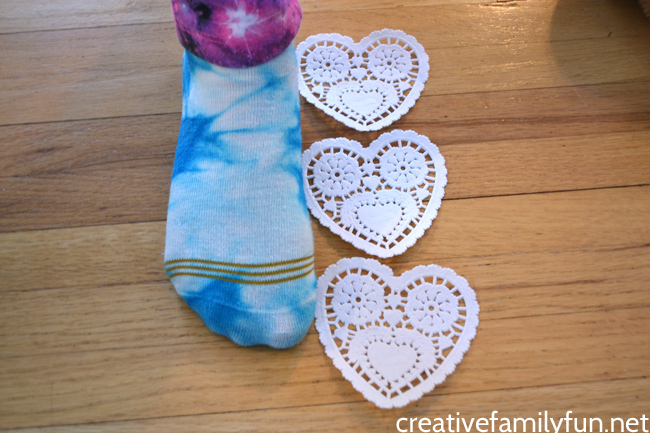 All you need is a package of small heart doilies. The doilies stick together, so make sure to pull them all apart before beginning. You can set up the learning by asking a simple question: How can we measure using these hearts? Encourage your kids to line the hearts up to see how long different things are. You can measure anything that is larger than the heart doily. Measure body parts, like feet, arm length, or even full body length. Or you can measure furniture. Measure the length of a room. Add more depth to this activity by recording your measurements. Write down the object and how long it was. When you’re done, look at your data. Which item was biggest? Which was smallest? Order everything from smallest to largest. Talk through your data and make observations. Measure something smaller than our heart. For example, take a paperclip. How many paperclips do you need to be the same length as the heart? 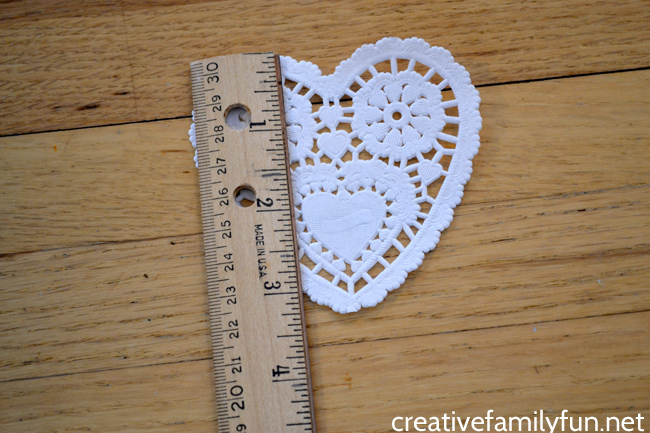 Find some other smaller objects you can use to measure your heart doily. Translate your nonstandard units into standard units. This is a great way to extend the fun for kids who have moved beyond simply measuring with nonstandard units. First, measure one heart and record the measurement. Next, take your measurement recordings. If my book is four hearts long, how many inches is it? It’s time to use your addition skills, or multiplication skills, to find out. Our hearts were 3.25 inches. Get out your calculator if you need to, or round down to 3 inches to make the calculations easier. 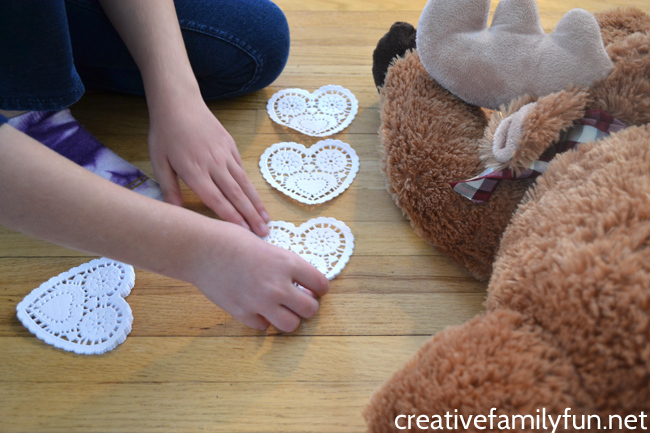 Measuring with nonstandard units is always a fun activity and it was a great way to use those extra heart doilies.